So, finally, here are some pictures of stuff I’ve been working on/buying like mad on ebay recently! As you can tell, I’m really excited about socks. 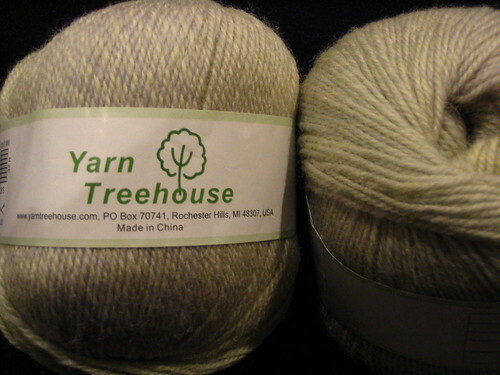 I bought this sock yarn from Yarn Treehouse on ebay! It’s really pretty and I’m excited about it. The lighting kind of doesn’t do it justice. I bought this one off ebay too. More socks. So, I finally figured out how to transfer pictures from my camera to my computer yesterday. ..not that it was all that difficult. More like I finally decided to stop being lazy and add them onto my computer. The only thing is I corrupted one of my camera cards, so I lost about half of the pictures I had saved. Oh, well. In any case, more pictures are coming soon! The lack of entries (and pictures) due to my trip home for Thanksgiving will end tomorrow or the next day! 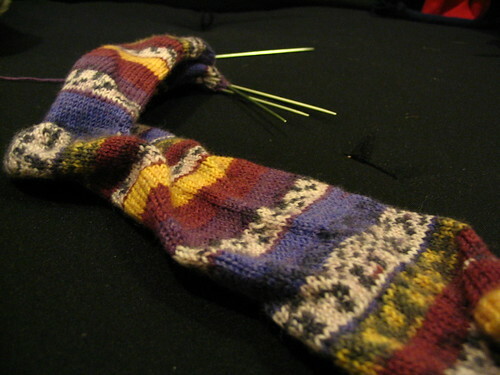 My first sock is almost finished, but I am having a major problem with ladders where my DPNs meet. Boo. I wasn’t even planning on buying them; I wanted 2 circulars! Oh, well. I guess I now know for the next time (or I’ll just make them ribbed, har). So, on account of me being really sick today, I barely left the couch. This meant a lot of napping..and a lot of sock-making. 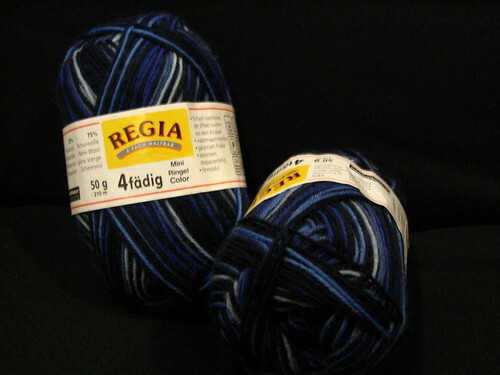 The thing no one ever tells you about socks is that they take forever to knit up. I’m seriously less than halfway done with one single sock. Pictures to come soon. In other news, Renee’s visit resulted in some thrift store shopping, and I picked up a really ugly sweater made with really great yarn for six dollars. I fully intend to frog it and dye it once I get time. It should be an adventure. Renee is here visiting! I’m so excited! 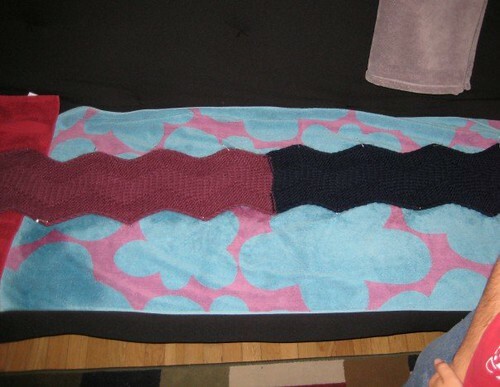 Several weeks ago, I finished this scarf for her (you can find the pattern here), but it was all curly-in-y, and I only got around to blocking it a couple days ago. This, my first attempt at blocking, was..interesting. I’m not even sure it worked that well. As you can see, I don’t have a blocking board. Those are towels on my futon. What may not be apparent from this picture is that I DON’T HAVE PINS, either. Yeah, those are safety pins. So, basically, blocking was a little insane. But I’m happy to say that Renee was very pleased with the scarf and thoroughly surprised. So, I began working on Christmas gift #2 this morning. ..a pair of gloves for my brother, one person I’m certain will never read this. His hands are..weird. I just don’t know what to do. I mean, I don’t have to worry about finger length because they’re fingerless, but I don’t know how thick his fingers are. I would suspect they’re thicker than mine, but you never know..mine are pretty fat for a woman. I made myself a pair of the same gloves last year, and I remember him putting them on, but I don’t remember how they fit him. My mom wasn’t much help, either. “Make them fit you loosely.” What the hell is that supposed to mean? I JUST DON’T KNOW. Perhaps I should sneakily check out his hands during Thanksgiving next week and just focus on another project for now. 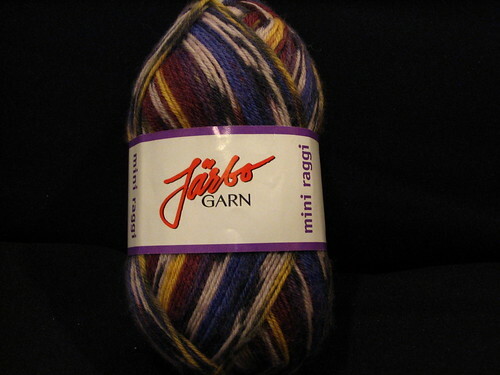 In any case, I have decided to try not combination knitting on this project. 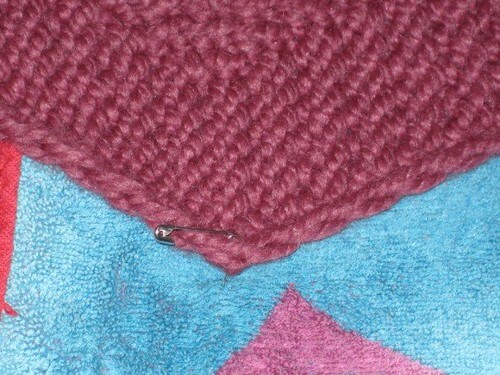 It’s kind of weird-feeling, but my stitches actually seem to be a lot more even. Go figure. Though I complain a lot about how hot Tucson is (today’s high is 85 and IT’S NOVEMBER), today is beautiful. Not everyone gets to spend a break between classes on the grass in the shade, just relaxing and surfing the web. However, I really do wish it was getting colder here. It’s not like I expect below-freezing temperatures and snow or anything. But it would really be great if it started feeling a LITTLE like November. At this rate, it feels like Christmas will never come. And, as the best part of Christmas is that feeling during the season beforehand, this is terribly depressing. Here’s to hoping it’s colder at home when I’m there for Thanksgiving next week.